If you’re anything like me, I love hearing about people’s career stories — not out of nosiness (OK, maybe a bit! ), but more out of curiosity and interest. 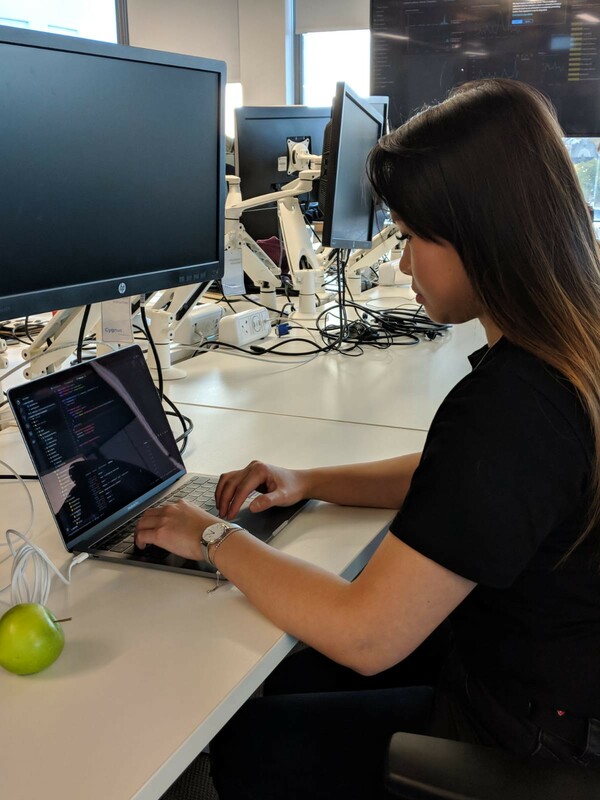 This ‘Day in the life of’ series gives you a peek into what a typical day looks like for our women in tech at ASOS (there isn’t one!) and how they started their careers. Hopefully you’ll take something inspirational away from it! This one’s about Linh who is an Associate Software Engineer. At 6.30am, but I snooze it for an hour and get up at 7.30am. I really love sleeping and I really love my bed. I’m based in southeast London and get two trains to work. I’ll usually watch YouTube videos about coding or animals. Day to day, I’m responsible for maintaining the website. If there are emails reporting that something is broken I might be responsible for fixing that, if it requires front-end code. I’m in a team that works on feeding in personalised content to customers. We build features for Sitecore (our content management service) so content creators can target customers from different countries e.g. the content in the US might be different from UK or Asia Pacific because of the seasonal weather. Our team looks more at short-term projects, rather than features that remain on the site for a long time. Recently, I’ve been put in charge of researching accessibility, which is a big focus right now. I’m looking at how we can automate our testing of code in this area. I felt lost after university as I wasn’t passionate about what I’d studied in my undergraduate degree — Biochemical Engineering, so I worked as a Student Advisor while researching other opportunities out there. I came across a lot of tech meet-ups for people interested in things like entrepreneurship and Fintech, which led me to coding. I went to a panel discussion by CodeFirst:Girls where I learned they ran a free coding class. I applied and started their course on the coding language Ruby. I found it quite difficult but, after finishing the course, it pushed me to pursue it further. I loved it so much I decided to pursue coding as a career. It took 18 months of self teaching and interviewing before I landed my role at ASOS in August 2017. I don’t think university set me up with the soft skills required to find a job I love, or the specific industry knowledge and CV writing skills I needed . I found networking so much more beneficial. You have to reach out where you can! I have a team standup in the morning (where we all say what we worked on yesterday and what we will work on today). Sometimes I’ll work on my own and other times I’ll pair up with someone else in my team. At lunchtime, I’ll go out to eat. My favourite is a Thai restaurant near the office. In the afternoon I’ll continue working on the same task. I’ll also have a couple of meetings with my team and our stakeholders. I don’t usually have lots of meetings. Every fortnight we have a larger team meeting to find out what’s happening around the business and to recognise when people have done an awesome job. I’ll often go to tech meet-ups. I used to go four times a week but now I only go once or twice as it’s easy to burn out, and you have to look after yourself! I love learning about what other companies are doing in terms of their tech, diversity and inclusion, and the community. Coding is my hobby. I love it, so I do even more of it outside of work. For example, I write technical blog posts. There aren’t enough women posting those sorts of blogs out there. When we presented our final demo for our graduate project. After working really hard for eight weeks, it was great to showcase what we had accomplished as a team. Working with others. I found university so competitive — everyone was looking out for themselves. It’s not like that here. You collaborate with people, exchange ideas and help each other. That’s the best part. Without a team there are no results. You don’t need to go to university to get into tech. there’s a misconception that you need a degree to get anywhere in life, but that’s really not true today. There are plenty of free events that help the younger generation get into STEM education and careers. All you need is Wi-Fi and a laptop to do your research. If you don’t have internet at home, you can go to a café. Everything is possible. 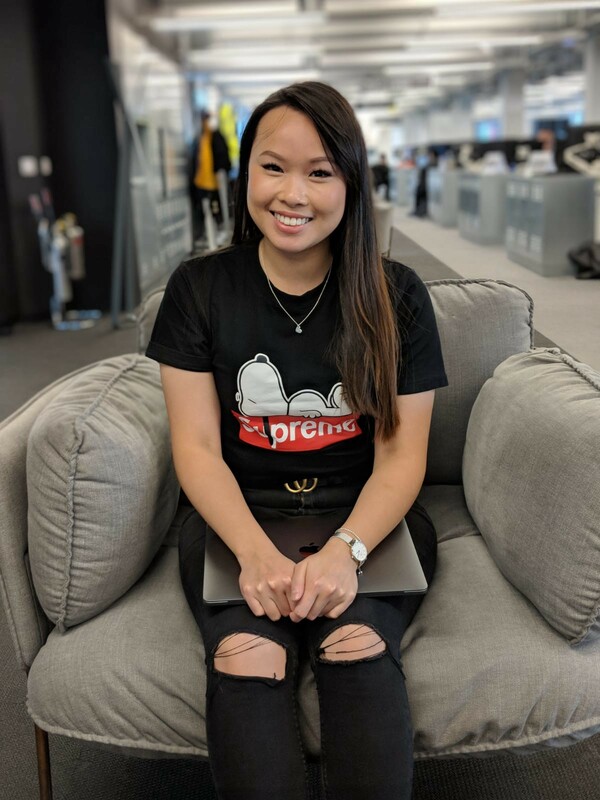 Linh is an Associate Software Engineer at ASOS. When not coding at work, she codes at home or at meet-ups (coding is her hobby). She also likes fat cats. 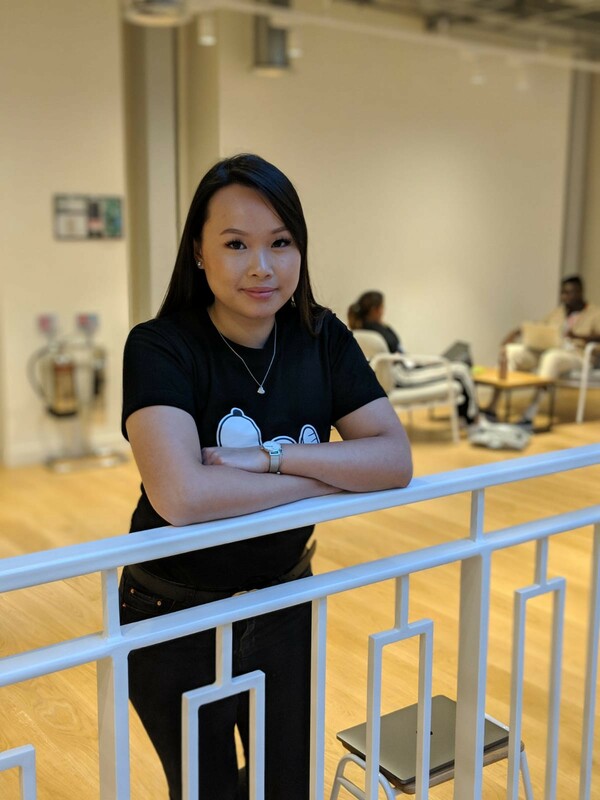 Kim Tang is a Cultural Change Advisor at ASOS Tech. Her superpowers include, but are not limited to: making Tech a place we all love to work. Kim loves personality quizzes, Wes Anderson films and food.